I am Jack Byno a Denton County traffic ticket attorney. I have been representing clients in all of the Denton County Municipal and Justice of the Peace Courts since 1994. My practice consists on defending defendants with their speeding citations, CDL violations, lifting traffic warrants, and fighting driver's license suspensions. If you have a traffic ticket in Denton, Texas and you need a lawyer, contact me. If you have received a speeding ticket in Denton, Texas you may want to retain an attorney to help you with it. If you hire me I can appear in the municipal court on your behalf and work out the best deal I can on your speeding citation. Typically this means getting you deferred adjudication, also called, "probation". The terms of probation are very simple, pay your court fees on time, do not get any other tickets while on probation, and if you are under 25 you must take a defensive driving class. Contact me to see if you qualify for the deferred adjudication on your speeding charge. When you get a speeding ticket or other traffic violation and you do not appear in court on or before the due date on the citation, the Denton Municipal Court will issue a warrant for your arrest. You are still entitled to your day in court, but you do not want to get arrested. What do you do? If you retain the attorneys of Jack Byno & Associates, we will post a bond to lift the warrant, get a new court date, appear in court on your behalf, and plea the case to the best outcome we can. If you want to get your warrant lifted before the Denton County warrant roundup contact me. More about the Denton Warrant Roundup. Some attorneys represent clients with speeding tickets now and then, but if you have a commercial driver's license (CDL) is that good news? I don't think so. I have been representing clients in the Denton County traffic ticket courts since 1994. It is 100% of my business. 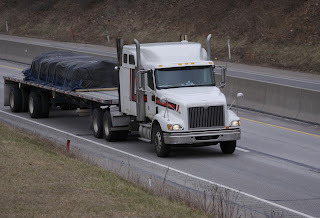 When you drive a commercial motor vehicle for a living and your driving record is on the line you should hire an attorney that understands the needs of truckers, bus drivers, taxi drivers, and firemen. For the best defense you can get with a Denton County CDL violation contact me. Jack Byno & Associates is a law firm devoted to the practice of defending speeding tickets, lifting traffic warrants, fighting CDL violations, and contesting driver's license suspensions. When you need lawyers that can be in court for you and protect your rights, contact me.